The persecution of Christians began before there really were Christians, per se. Jesus accepted abuse from the established religious authorities of the day throughout His ministry years on earth. It launched in a broader way after He was taken from the Garden of Gethsemane to be tortured and crucified. This element of the Christian faith has never waned. We see that this persecution created a major part of the character of the early church through those in Jerusalem, followers such as Ignatius and Polycarp, the thousands that were sent to the coliseum to be fed to ravenous beasts, and the countless numbers hunted throughout the Roman Empire for three centuries. And persecution continues to be a part of the Christian life for hundreds of millions of followers to this day. 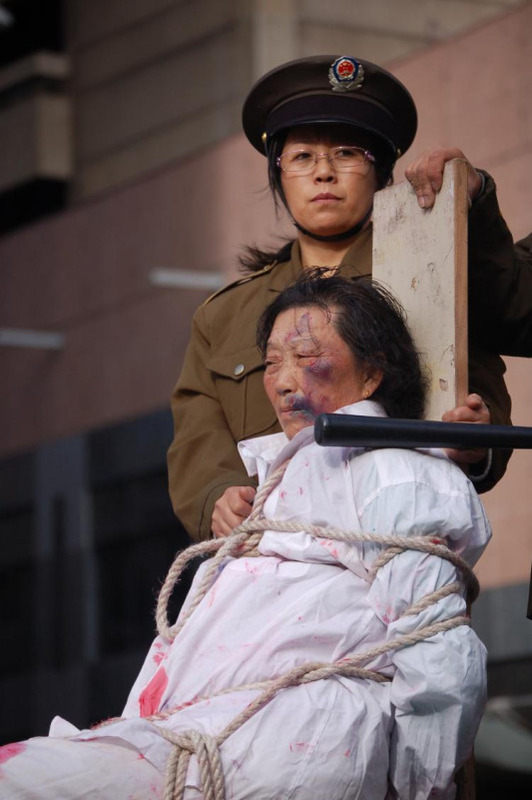 From the horrors of North Korea to the attempts to crush the underground church in Communist China to the violent destruction of churches by Muslim sects in the Middle East to the battle for hearts and souls through Central Africa, the persecution of those who follow Christ continues. 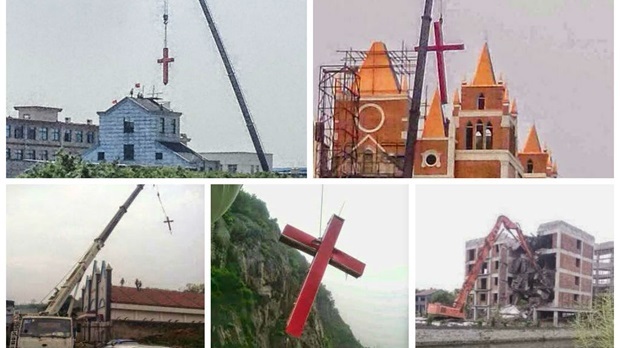 Chinese churches being torn down. It’s helpful to remember that what is going on today is not new. Just the details are changed. “Continue to remember those in prison as if you were together with them in prison, and those who are mistreated as if you yourselves were suffering.” Hebrews 13:3. Read more on how followers prevailed in their Christian walk, and their connection to each other and all of use here. Second century Christianity faced monumental trials. It was besieged by Roman authorities at every turn. The pagan culture fought violently against this new and growing religion that claimed one way to one God. Further, within the church there was no doctrinal consensus between churches that were increasingly run city by city through bishops that held differing views. Divergent teachings among the bishops left gaping breaches of fertile ground for the enemy of Christ to sow heresy and division, and sow he did, leading foremost with the persistent Gnostics. Persecution continued to spread the Gospel with the blood of martyrs. The infant Christian Church was flourishing in numbers and spirit, lacking nothing in fervency if somewhat in consensus doctrine. Converts streamed to the foot of the cross at great personal peril and, despite the persecutions, it was becoming a dominant religion in the Roman Empire with shocking speed. But heresies within the church were a constant menace to the spiritual health and ultimate destiny of the Church of Jesus Christ. People were easily swayed by eloquent, fiery leaders because they had no canonized Scripture yet and the copies of Gospels and epistles could hardly circulate fast enough to follow the church. Different bishops and teachers created different doctrines, even theologies. And then more heretical movements would spring up. These heresies and internal disputes forced the church to nail down proper understandings of the faith based on Scriptures. But it did not happen overnight. In fact, it took centuries. Into this chasm of soft and shifting doctrines stepped several men that God used to build upon the first, infant steps taken by Ignatius, Polycarp and Irenaeus. Men such as Hippolytus, Tertullian, Origen and Cyprian started solidifying doctrine, although not without some missteps. Indeed, this era would not only produce some giants of the faith that continue to influence Christians today in subtle but fundamental ways, but also present us with some of the most controversial figures in the history of Christianity – oftentimes in the same men. The foundation of the church was not without rocky moments, including those brought by believers who were pivotal in moving the cross forward. But this is not an era that calls for quick judgment against the men who erred. Monday morning quarterbacking 17 centuries later is ungenerous. It is essential to understand that they were sifting through unsettled and variable doctrines with almost no backdrop of available Scripture or orthodox tradition, while at the same time suffering under the whip of persecution and the heavy weight of Greek and Roman philosophies. But even then, it seems they got a lot of it right. 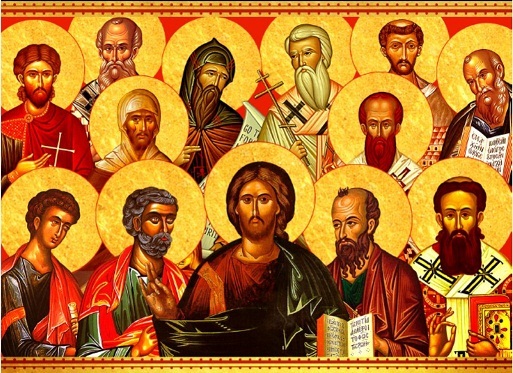 The early church fathers are part of the thread of Christians influencing future Christians from the time of Christ until now. Read more here. The young Christian faith was pushing west through the Roman Empire during the second century, as the earliest missionaries and evangelists were sent out from the churches of Asia Minor. Polycarp was instrumental in this westward push, sending a man named Pothinus, whom he had taught, to southern Gaul. While establishing a church in Lyons, Pothinus was joined by another important disciple of Polycarp, Irenaeus. In Irenaeus, we see again a student following in a master’s footsteps, building upon the spiritual foundation laid directly before by Polycarp and indirectly by Ignatius. We also have the first major leader who had no connection with the apostles. In the midst of broad persecution, he fought against the heresies that threatened the young church. The biggest sect was Gnosticism, the same set of heresies that cropped up in the New Testament. In response, Irenaeus wrote his most famous work, Against Heresies, a five-volume set that outlined in excruciating detail the fallacies of the Gnostics and the truth of the Gospel. Irenaeus is the first in our line that did not die as a martyr. But he faced some terrible adversities at the dawn of the church as Ignatius and Polycarp, and like them he stood with undaunted faith. The faithful servant was spiritually steeled to the moment. Indeed, he was unmoved in the flames. As the pyre was set ablaze, Polycarp prayed again. “Lord God, Father of our blessed Saviour, I thank you that I have been deemed worthy to receive the crown of martyrdom, and that I may die for you and for your cause.” The multitude that had gathered to watch were dismayed at his serenity and willingness — a sharp contrast to when unbelievers were killed in the stadium. Polycarp’s body was burned down to the bones, which were collected by Christians and buried. His death was remembered throughout the Christian world. Polycarp lived and died as a Christian for the world to see, and followed Ignatius in helping set the stage firmly for the early church — in word and in action. He battled heresies that threatened the core of Christianity and he endured persecutions until finally being martyred, a formula that would be followed by many. Around 69 A.D., Polycarp was born into a Christian family that had survived the early persecutions. Not a lot is known today about Polycarp’s life. He was raised Christian and held fast to the faith until his fiery end. Polycarp is a critical early fiber in the thread because, like Ignatius, he lived in the first generation after the apostles and was directly linked to them. Like most of the early church leaders, Polycarp fought on two fronts. In addition to the persecution that believers periodically endured, the church was threatened for centuries with heresies that jeopardized its foundation. Polycarp, along with those such as Clement, carried with them the stamp of apostolic approval from direct teachings. Both maintained the teachings of Christ that had been faithfully delivered to them firsthand, and increasingly through the circulated letters from which the New Testament was ultimately derived. As we will see with so many others in this thread, he took on heretics who were seducing believers from the truth. 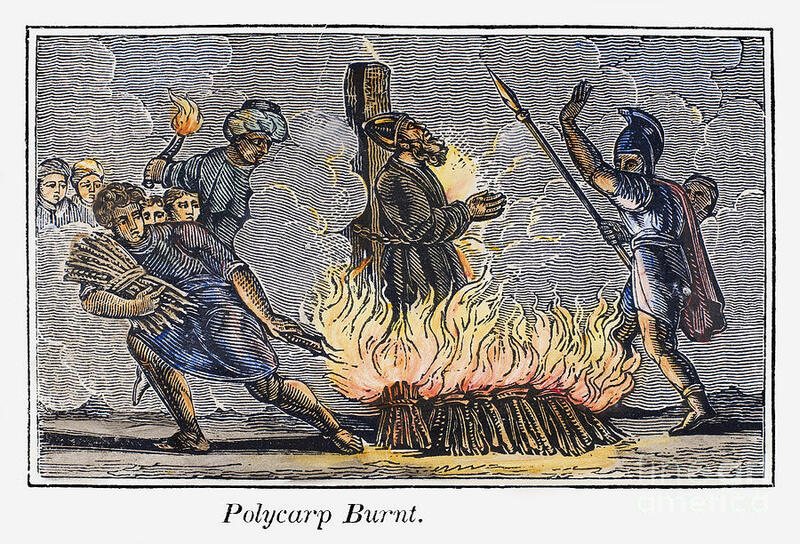 For Polycarp, it was early Gnostics, connecting him to many who followed after him and defended the faith of Christ against the heresies of the Gnostics. Gnosticism was already established at the time the New Testament was being written, and became a hodge-podge umbrella of beliefs that survived for centuries. It claimed the Old Testament God was an evil God and the God of the Gospels was a good God. One letter from Polycarp, to the church in Philippi, survived. A striking element of the letter is that it is riddled with quotes from New Testament books, long before they were canonized, further suggesting that they were already in heavy use. Polycarp leaves us with another heritage. His is the first martyrdom since Stephen that we have recorded in detail. Many other Christians had been killed for their faith before him, but their death was not so recorded. His death is described by his church in Smyrna, and the story remains today. Ignatius knew persecution, as did the flock of believers he shepherded in Antioch. His steadfast faith against the howls of the adversary stirred the people in his church to strengthen their own inner being against the day of agony. 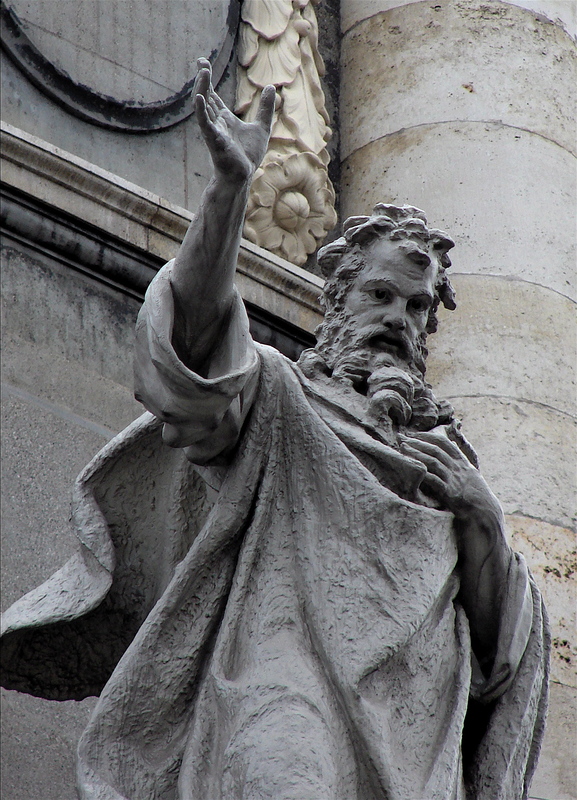 Ignatius is one of the few early Christian leaders considered to be an Apostolic father of the church in that he had a direct connection with the Apostles of Jesus, differentiating him from fathers of the church that were one or more generations removed from the Apostles. He is a unique link in the Christian heritage because he lived and had his greatest influence during that formative moment in church history when the Apostles had all died and the church was in the hands of the next generation of believers, tying it to future centuries of Christians. 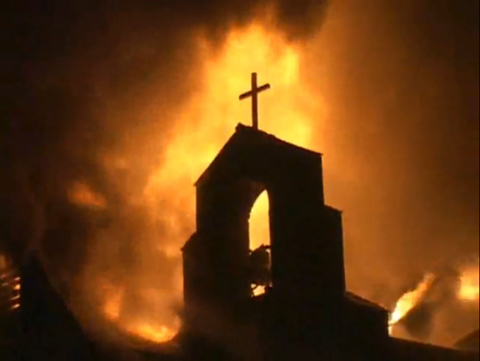 In its earliest decades, the fledgling Church of Jesus Christ was being ravaged by the twin blazes of persecution and heresy, fanned from Jerusalem to Rome and all points between. By any measure, the Christian faith should have been in ashes and Christianity left in the dust, barely an odd footnote in human history. But it was not. Instead, reason and logic were turned on their heads and rather than being burned to cinders the faith grew on the hot winds of a wildfire. The age of successive persecutions spawned the age of spiritual heroism, of faith walked out at the end of the executioner’s axe, or atop the burning pyre, or under a pile of stones thrown by an angry mob. It was an age where the words of the faithful only meant something because the acts of the faithful shouted from the rooftops. Follow Living Threads on Twitter! Click to follow Living Threads receive fresh posts in your inbox.